There’s a huge difference between a need and a want. If you had visited the corridor of Economics, you would have known this. A need is a very pressing want you can’t survive without. A want, on the other hand, may not necessarily be pressing, and you can survive without it. A lot of us don’t know this difference, and that’s why we end up spending so much more than we can afford. 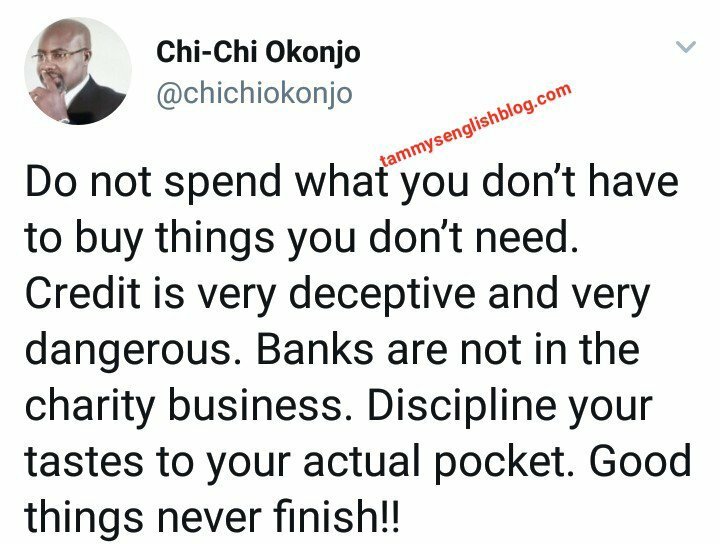 As you earn your salary or wage, think about the things you know you really have to get, go for them, and forget about spending for the month. This will really save your wallet and help you survive better. 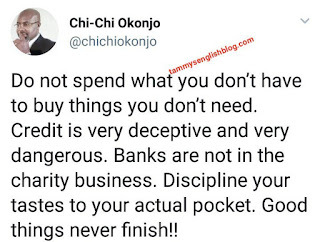 Chi-Chi Okonjo has a piece of advice for you and me. 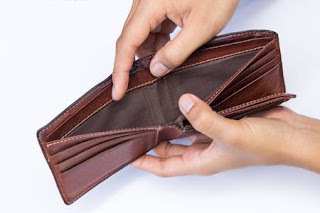 No matter how much we earn, we can’t really live on an income. This is because our wants are never ending, and the more money we have, the more they (our wants) get. So, we need to keep making that money. It is important we look for an alternative source of making money. Invest in a business if we have to, and we will never go broke. 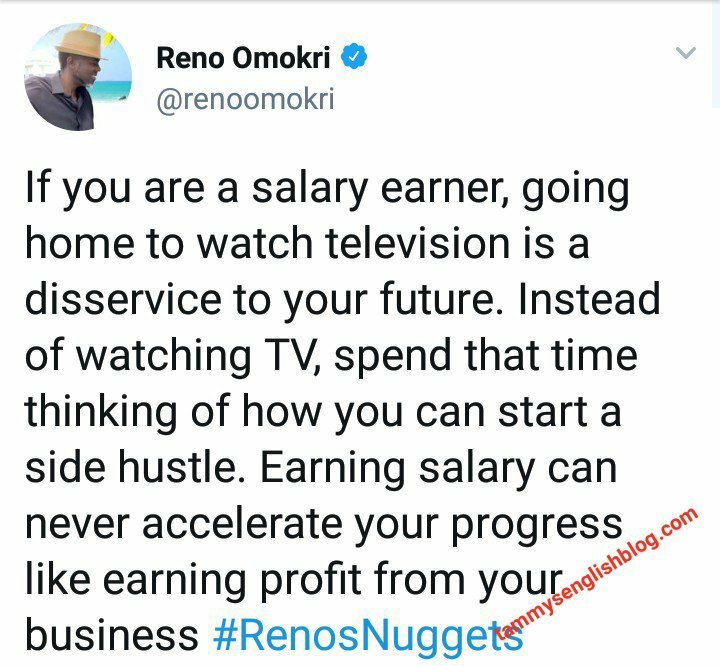 The screenshot below is also a perfect solution from Reno Omokri as regards this factor. It is important to have savings. 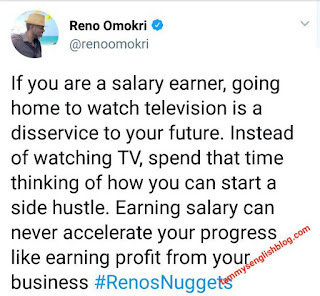 Anytime we receive our salaries or wages, after paying our bills, we should save at least 10 to 20% of our salaries or wages. If you cannot do this, then you have a problem. Your savings helps you stay afloat when things become unexpectedly unusual. You don’t expect them; they just happen anyway. Therefore, preparing for them is important.